Hello and welcome to Milton Photography. Born and raised here in North Wales Philip Milton has a great love of this incredible country, this has lead him to explore it and find some of the best photographic locations to shoot whatever the season. He has had a love of art and photography from a young age and this has become a life passion. With this love he has cultivated a qualification in art and a specialist qualification in photography, as well as serving as a technical specialist in a major chain of photographic retail outlets, this has given him a thorough understanding of all brands and models of cameras and lenses. After turning professional some 8 years ago, Philip has turned his hand to many forms of photography. From commercial to landscapes, as well as family lifestyle shoots, he has built up a reputation for quality, affordable photography and built a successful business, selling his limited edition prints as far as the USA and Canada, not to mention to numerous retail and private collections throughout the UK. It was during Philip's studies of photography that he discovered the need for high quality one to one tuition and the benefits that this method of teaching brings, to prove that the technical side of photography or the "scary bit" as some called it, wasn't that scary at all, it just needed explaining to people in a way they understood with someone who has the patience to teach it to them at their own pace. With time, patience and proper guidance photography can be a hobby that everybody can enjoy. 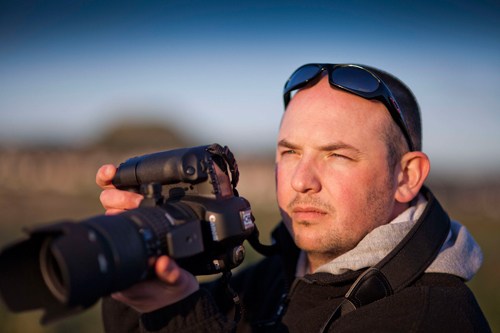 With this in mind, Philip has developed a series of lessons that cater for all needs, from the absolute beginner who is picking up a camera for the first time, through to more seasoned professionals that need to gain an understanding of a technique that they may not have the experience or understanding of. With a solid grounding in all forms of photography, Milton Photography's one-to-one tuition days can be adapted to suit the type of photography that you want to learn. Landscapes, night time, wildlife, macro, even extreme sports tuition days can be catered for with ease and the understanding that you leave with will allow you to capture images that you can be proud of. Head to the tuition page for more details about the lessons, or feel free to browse the above categories for more details on how to commission us for landscapes, commercial or lifestyle shoots.